Most U.S. building stock consists of existing buildings. How can we improve their operation or retrofit with new energy-efficient technologies? The answer to that question is critical to reduce energy use in the building sector. Although building simulation has been widely used to support the design of new buildings, modeling the energy performance of existing buildings is challenging because model inputs that have significant impacts on simulation results, such as internal thermal mass and infiltration, are difficult to obtain. This leads to discrepancies between simulated and measured energy uses. A hybrid modeling approach for existing buildings is needed that uses measured data to reduce these uncertainties. Department of Energy-funded research supported scientists Tianzhen Hong and Sang Hoon Lee, who developed a new hybrid modeling approach to use zone air temperature to derive zone internal thermal mass and infiltration. Thermal mass—books, furniture, etc.—is an important component for stabilizing internal temperatures. Infiltration—uncontrolled outdoor air into a space—is another highly unknown parameter leading to uncertainties in heating or cooling load in buildings. The researchers came up with a hybrid approach that is built upon the inverse model of the zone heat balance that keeps the virtues of physics-based modeling and also takes advantage of easily attainable measured data from low-cost sensors installed in buildings. Hybrid modeling enhances the accuracy of the building energy simulation for existing buildings by replacing highly unknown parameters of zone interior thermal mass and air infiltration, with measured zone air temperature data as new inputs to energy modeling. They conducted FLEXLAB® experiments to collect detailed data to validate the hybrid model. They measured zone air temperature under the controlled indoor environmental configurations with two levels of internal thermal mass and four levels of infiltration. They used the measured temperature to validate the hybrid model implemented in EnergyPlus, which improves simulation usability and accuracy for existing buildings, providing more reliable performance assessment to support building retrofit decision-making. The simulation results from the hybrid modeling showed good agreements with the measured data from the FLEXLAB experiments. Lessons and insights learned from the validation using the FLEXLAB experiments were used to refine the hybrid modeling algorithm and to provide a guideline on the use of the hybrid model in EnergyPlus. 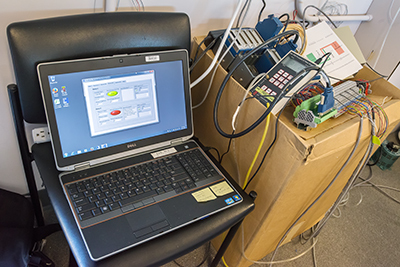 This FLEXLAB experiment verified the hybrid model in EnergyPlus, DOE’s flagship whole-building energy simulation engine. The hybrid model could improve the accuracy of simulated Heating, Ventilation, and Air Conditioning (HVAC) energy use by 10 to 30 percent. Assuming 16.5 quad of the current existing building market size, and an estimate of 20 percent increase of the potential 30 percent retrofit savings, this leads to an incremental 1.0 quad of energy savings annually. “The hybrid modeling approach reformulates the space heat balance equations, based on the new set of inputs, to derive a more accurate estimate of the building energy performance by solving the partially inverse problem,” said Hong. 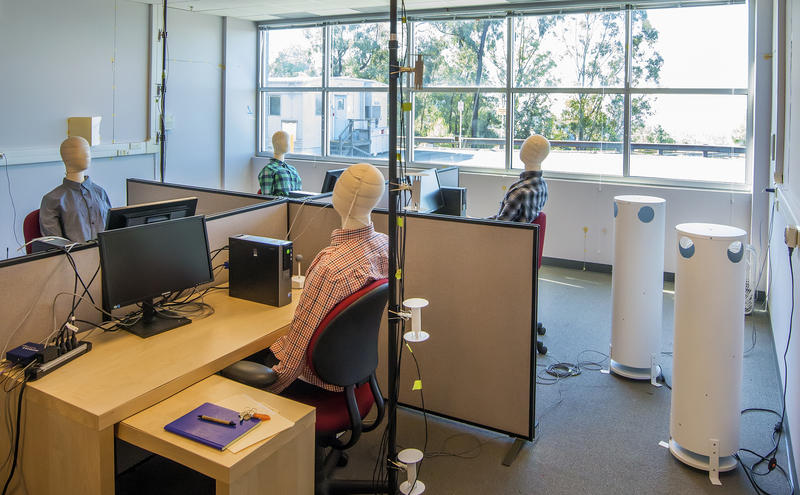 The approach will be implemented in EnergyPlus, DOE’s flagship whole building energy simulation engine, and its results “will be verified in two ways by comparing to results from the current EnergyPlus simulations and to the measured results from Berkeley Lab’s FLEXLAB®."